Koishikawa Korakuen is one of oldest Japanese garden in Tokyo alongside Rikugien garden, and these were counted in two major gardens from Edo period (1603-1868). The garden is located just next to Tokyo Dome and known as precious nature in busy city Tokyo. The garden was starded to creat by Tokugawa Yorifusa who is the founder of Mito Tokugawa family in 1629, and the second clan ruler, Tokugawa Mitsukuni completed to creat the garden in 1669 with the help of Chinese scholar Shu Shunsui. 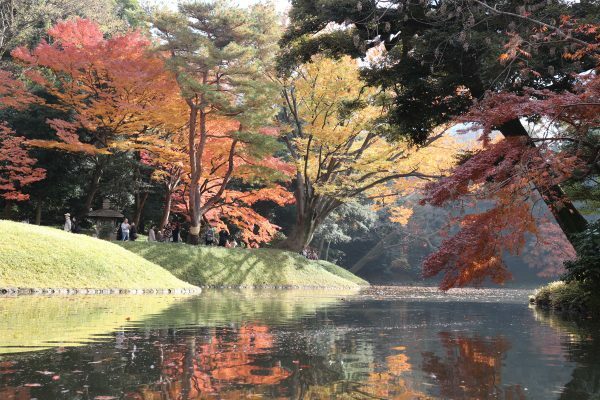 The garden was designated as a special historic site and special scenic spot by the law for the protection of cultural properties in 1954 and only Koishikawa Korakuen and Hamarikyu Garden have received both designation in Tokyo municipal garden. 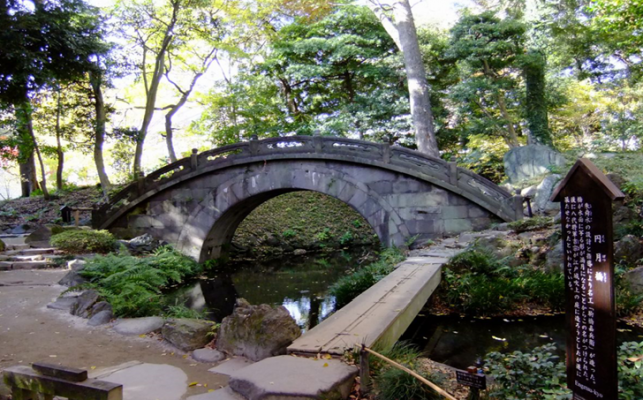 The feature of Koishikawa Korakuen is that the garden contains famous Japanese and Chinese scenery and offers different views every few steps. 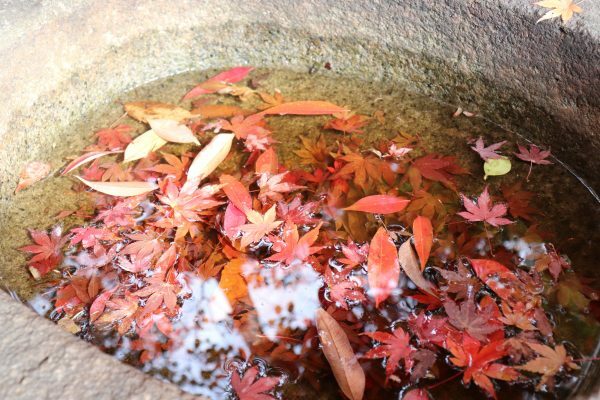 Koishikawa Korakuen attempts to offer famous scenery for both Japanse and Chinese landscape by using pond in the middle of the garden and many type of trees planted around the pond such as plum, cherry, wisteria and iris trees. 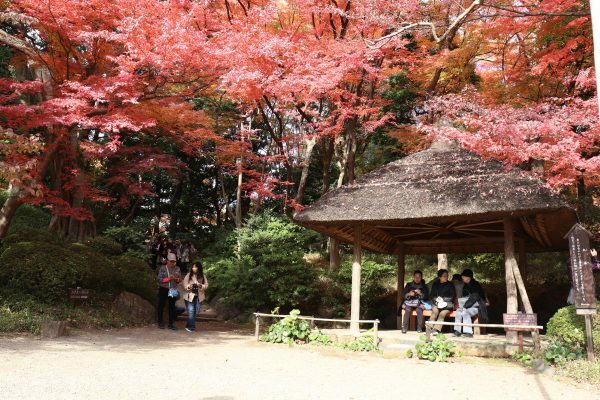 Since Koishikawa Korakuen contains many type of trees, people can enjoy the garden for all seasons, but one of best season to visit Koishikawa Korakuen is in autumn as the garden contains numerous maple trees planted around pond of the garden that color would be best from late November to early December. The garden also contains Ginkgo trees near the southeast corner of the garden that color turns golden yellow during autumn. 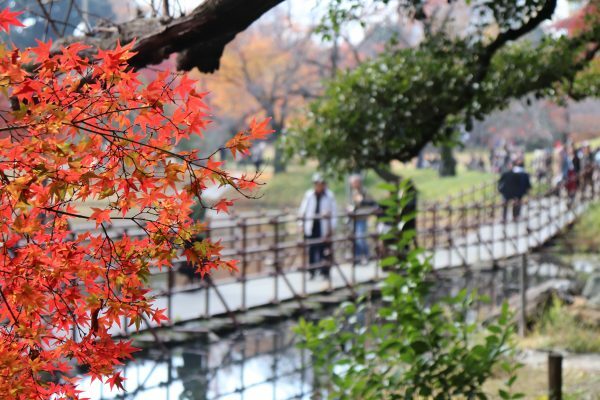 Spring is also good season to visit Koishikawa Korakuen as there are some trees that bloom in spring, especially cherry trees from late March to early April. Some of Cherry trees around the entrance gate of garden bloom early period. 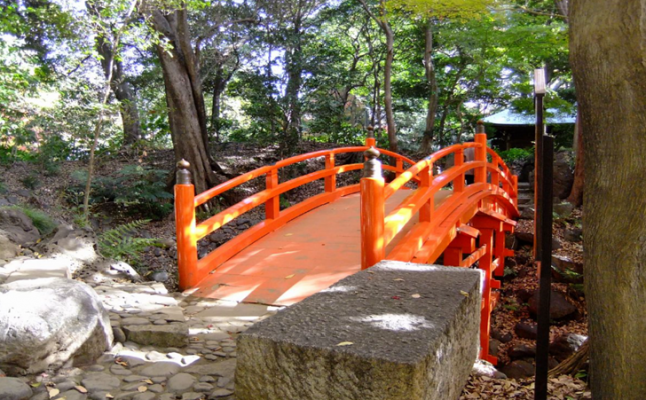 The garden also contains rocks and bridges that offer beautiful landscape such as Tsuten-kyo bridge, Togetsu-kyo bridge and Byobu rock. Iidabashi station on Toei oedo line (gate C3): 3 minutes by walk. Iidabashi station on JR Yamanote line: 8 minutes by walk. Korakuen station on Tokyo Metro marunouchi line: 8 minutes by walk.